Mystery surrounds the death at Beachy Head of a 27-year software programmer whose family believe he may have accidentally slipped over the cliffs while sightseeing. 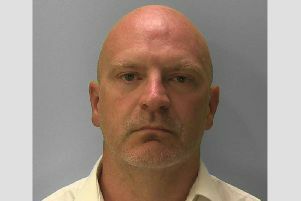 An open verdict was recorded into the death of Samuel James Dowling at an inquest at Eastbourne this week. Mr Dowling’s body was found at the foot of cliffs on October 25 and recovered by coastguards and a lifeboat crew after being spotted by the coastguard helicopter during a search for a dog which had fallen over the edge. Among his belongings was a return rail ticket to Eastbourne from his home in Portsmouth dated October 22. The family of Mr Dowling, known as James and who lived in Fratton Road, said he was a quiet, reserved intelligent young man who enjoyed coastal walks, and although he had suffered work related stress before, he had not shown any suicidal tendencies. Coroner Alan Craze said there was no firm evidence to show Mr Dowling’s death was either an accident or suicide.